At Last — a firming, toning, wrinkle reducer for the eyes, specifically designed for day wear! Beautiful eye makeup needs a proper platform. Anti Oxidant Green Tea based Remedies Eye Serum (Formerly Magnet) delivers super firming ingredients and protects the delicate eye tissue moisture balance. Remedies Eye Serum prevents wrinkles while it pulls double-duty to actually “Magnet” all eye primers and makeup. Never wear eye-makeup without it! At Last — a firming, toning, wrinkle reducer for the eyes, specifically designed for day wear! Beautiful eye makeup needs a proper platform. Anti-Oxidant Green Tea based Remedies Eye Serum (formerly Magnet) delivers super firming ingredients and protects the delicate eye tissue moisture balance. Never wear eye-makeup without it! 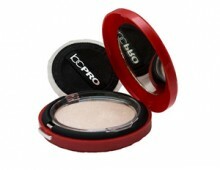 • Immediately minimizes wrinkles and dryness around the eyes with natural blend of anti-aging nutrients. 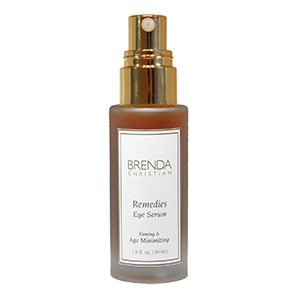 Remedies Eye Serum is an eye treatment, which is worn during the day to give the ultimate benefit to the eyes while wearing makeup. 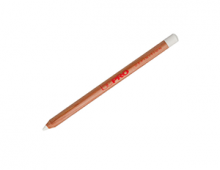 Every ingredient is boosted to such a degree of efficacy; the synergistic benefit is immediately visible. No more waiting 28-60 days. Remedies Eye Serum contains the highest levels of bioactive ingredients that work in tandem to strengthen each other in order to provide maximum anti-aging benefit 24 hours per day. The skin surrounding the eyes is hydrated as key secondary ingredients penetrate deeply into the tissues with firming nutrients to promote healthy, young skin cell formation. Remedies Eye Serum is a concentrated blend of bioactive ingredients that work synergistically to hydrate the skin’s surface and then to penetrate the tissues with firming nutrients to promote healthy, young skin cell formation.